Venture Café Night @ 39° North, which takes place the third Tuesday of each month, unites entrepreneurs, scientists and innovators to collaborate and learn at the Donald Danforth Plant Science Center (975 North Warson Road, St. Louis, 63132). The primary focus is on facilitating discussions and connections within plant science and agricultural technology. Programming is curated around a variety of topics from food and energy security to sustainability to big data and machine learning. There is no charge for the event, no RSVP is required and free beverages are included. 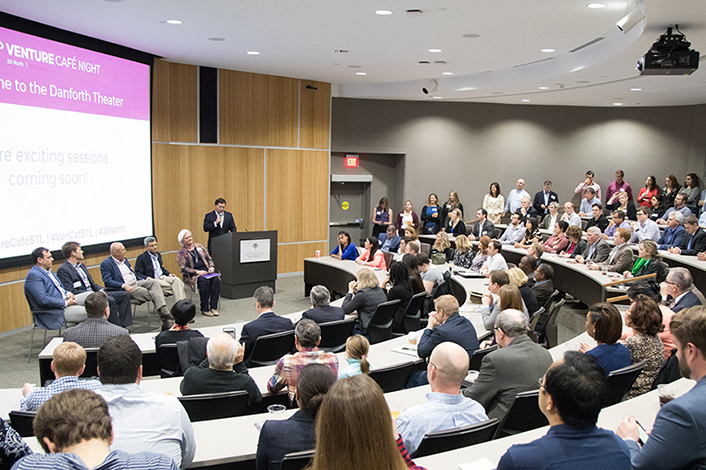 Follow @VentureCafeSTL, @39NorthSTL, @DanforthCenter and @STLPartnership on Twitter for updates.